With the HZ500 Antari is proud to unveil the most up-to-date Hazer to the entertainment industry. This groundbreaking masterpiece, created by the Antari R&D team, is the result of an enormous experience in designing haze machines and years of hard work. Therefore, the performance of HZ-500 is second to none and better than any other hazers on stage. The haze is perfect for use with laser beams, (LED)lighting and brings the best atmospheric effects to all events. HZ-500 is definitely the best choice for those stage designers, performers, and venues where silence is extremely important. Last but not the least, the extraordinary low haze liquid consumption makes HZ-500 more energy-efficient and more environmental-friendly. Considering purchasing the Antari HZ500 Haze Machine (including flight case)? Have questions? Ask people who've recently bought one. 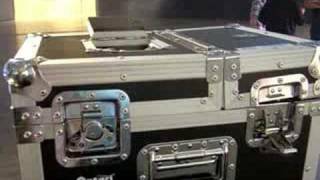 Do you own the Antari HZ500 Haze Machine (including flight case)? Why not write a review based on your experience with it. 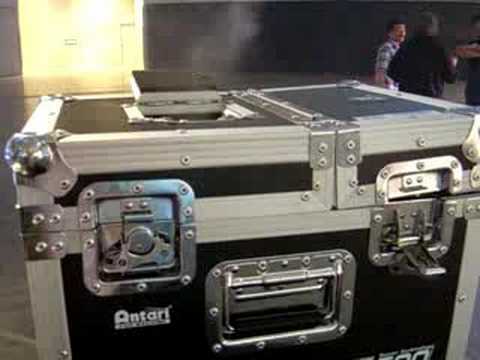 Seen a video for Antari HZ500 Haze Machine (including flight case) online or have you own video? Check out Antari HZ500 Haze Machine (including flight case) on DJkit.com!